Just like staring at the clouds, looking at unusual natural rock formations inspires us to try to figure out what they may represent. 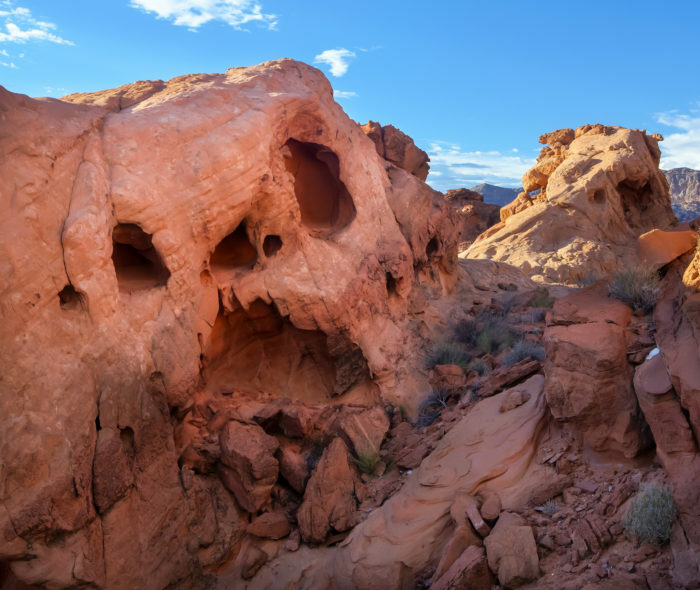 Nevada is chock full of wondrous, beautiful, and unique rock formations in its many state parks. 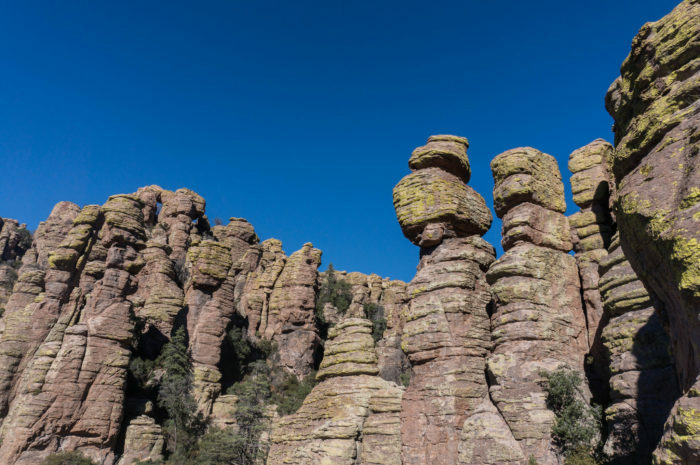 Created from erosion, volcanic activity, or even by man, here are 13 of the state’s most unusual natural rock formations you must see in person to truly appreciate. 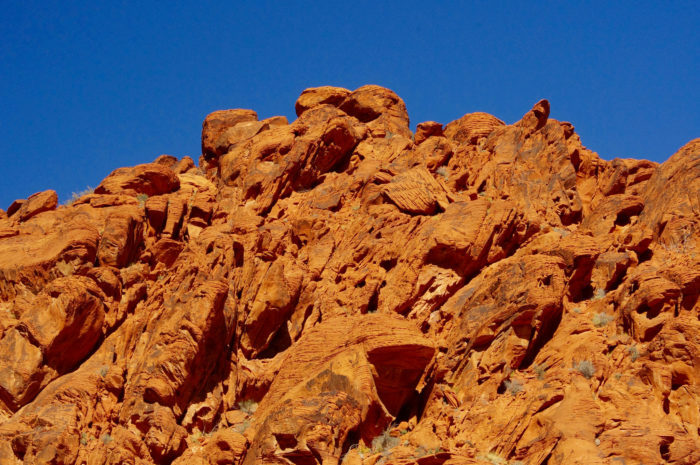 Located near Overton, Valley of Fire is definitely known for its unique rock formations. 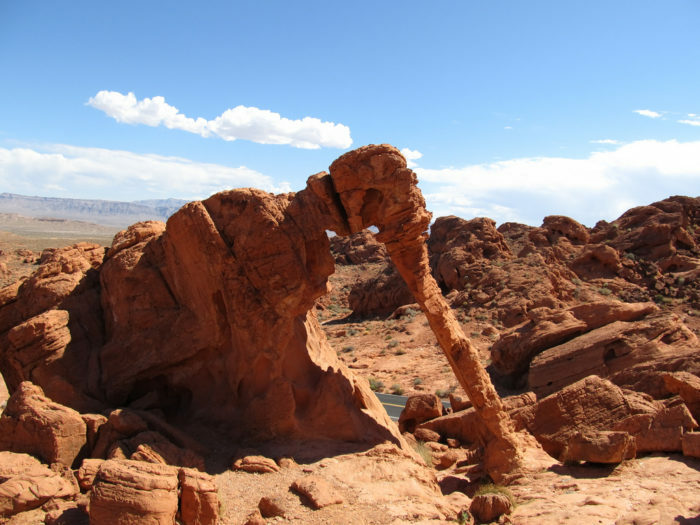 Among the most interesting is Elephant Rock, a perfect example of an arch formation. 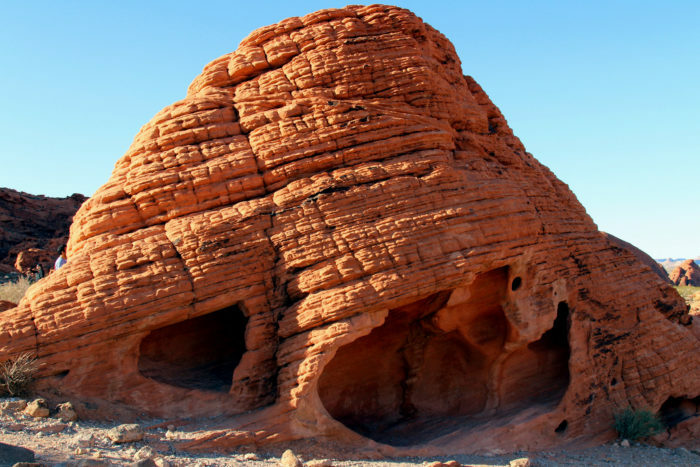 Another Valley of Fire favorite, this unique formation is the result of wind and water erosion that created the unique, beehive shape. 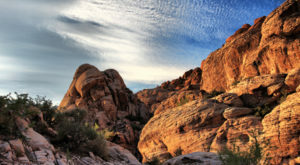 Located near Valley of Fire State Park between Las Vegas and Mesquite is the Gold Butte scenic red rock area. 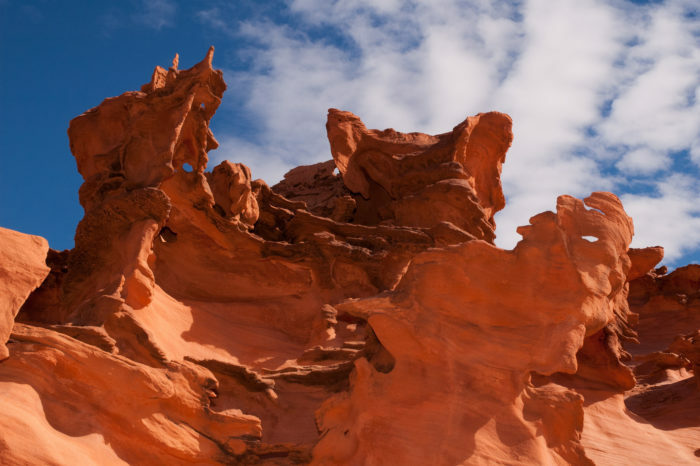 Here you can see many delicate and unique rock formations created from red Navajo sandstone. 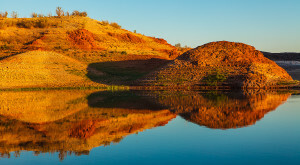 These unique formations have earned the area the nicknames Devil's Fire and Hobgoblin's Playground. Another unique formation in Little Finland is this Edvard Munch-esque face. Kind of creepy, isn't it? 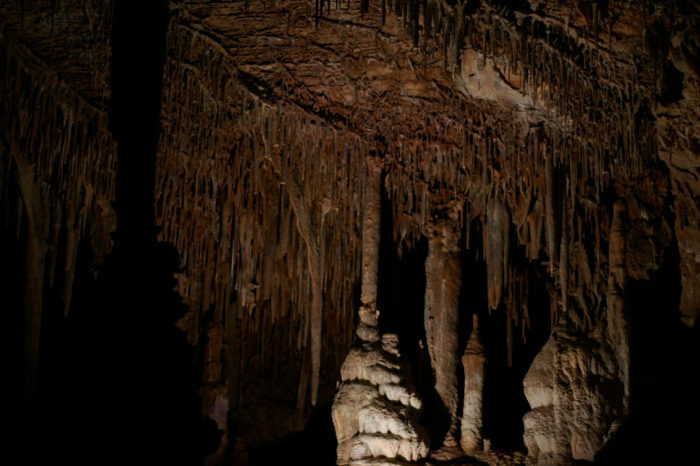 Situated inside Great Basin National Park near Baker, Lehman Caves (really only a single cavern) is the result of acidic water due to carbon dioxide that mixed with soluble limestone. 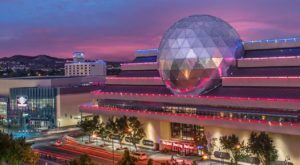 Over time, this steady yet incremental erosion created the impressive stalactites, stalagmites, spherical domes, columns, draperies, soda straws, helicitites, anthodites, cave popcorn, and spoon-shaped scallops decorating the cavern today. You simply must take a tour of this cave to believe your eyes. 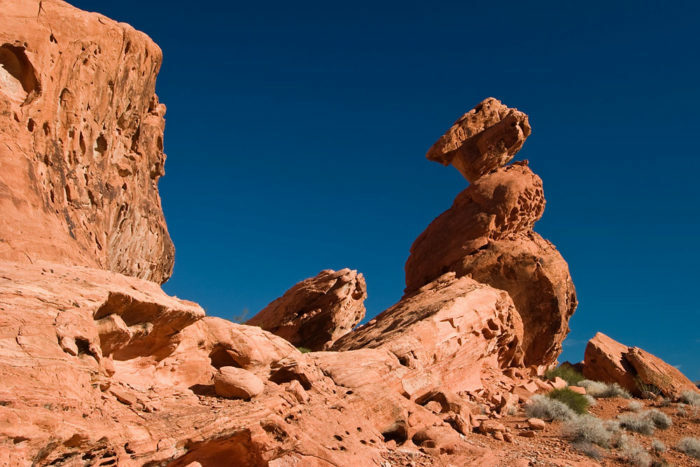 Yet another impressive Valley of Fire formation, balanced rock is a crowd favorite that resembles, well, a rock balancing atop another. The many unusual rock formations here are the result of volcanic activity 45 to 125 million years ago. 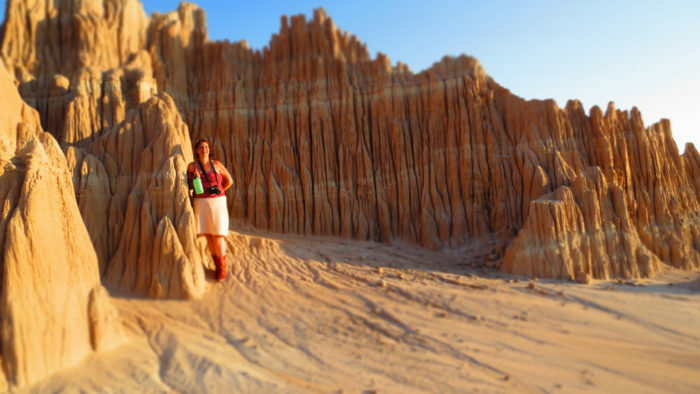 Located near Panaca, Cathedral Gorge State Park contains numerous fantastic rock formations formed by the weathering of soft shale and mudstone over time. 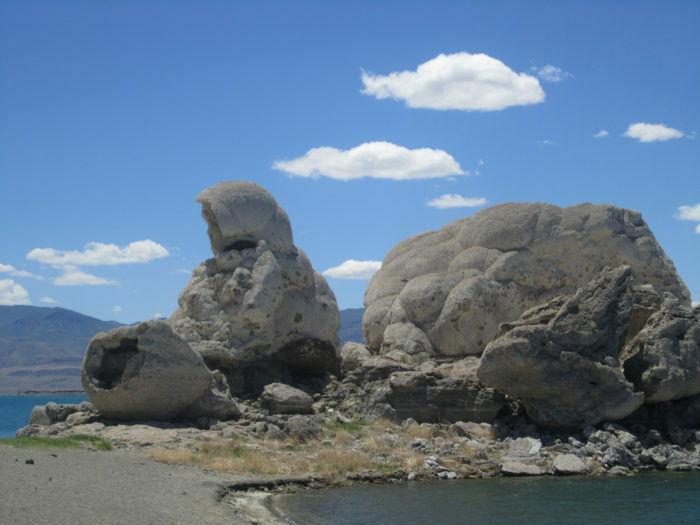 Named for this impressive tufa pyramid, this popular lake located in southeastern Washoe County is home to the Paiute Tribe. 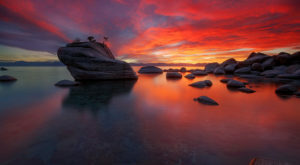 Located just 30 minutes west of Las Vegas, Red Rock Canyon is full of beautiful and unique rock formations created by Jurassic-era lithification (the process of changing loose sediment into sedimentary rock) resulting in stunning red Aztec sandstone natural rock formations. 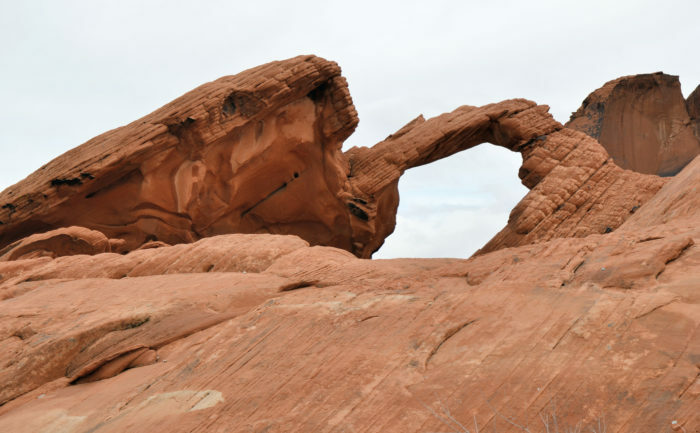 This naturally-occurring arch is another highlight in the Valley of Fire. 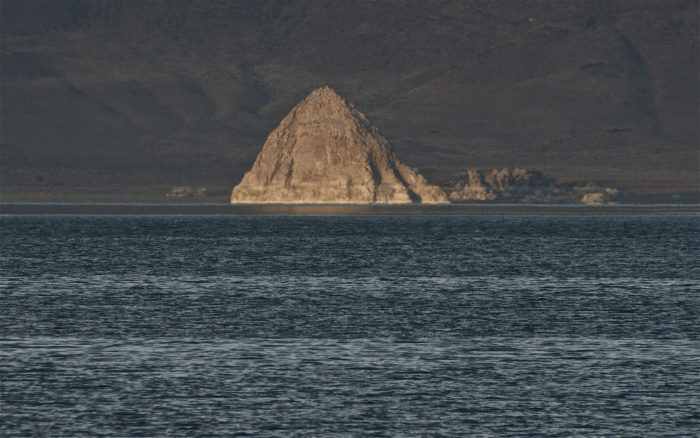 Also at Pyramid Lake is the Stone Mother, another impressive tufa formation that resembles a seated hooded Native American woman with a basket beside her. 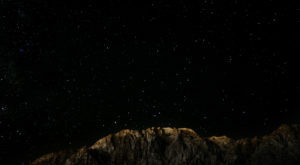 This formation is the subject of many Paiute stories. 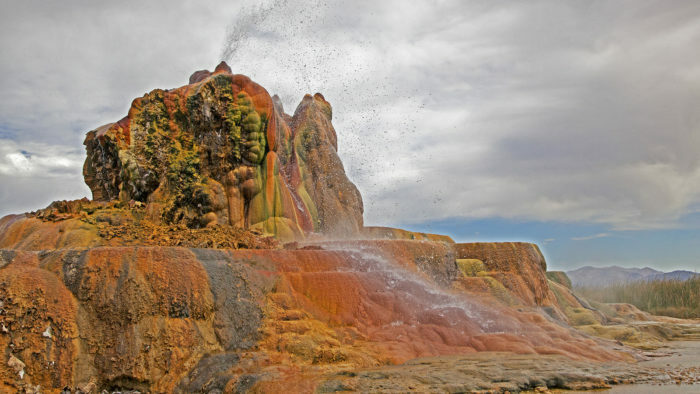 Located just outside Gerlach, this unique geyser is comprised of travertine limestone that was accidentally created while drilling for geothermal energy. Even though this formation is technically man-made, its lengthy creation make it worthy of being on this natural rock formation list and is most definitely unusual. 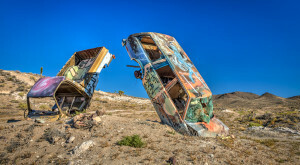 How many of these Nevada unusual natural rock formations have you visited? 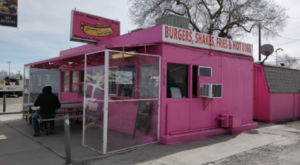 Did I leave your favorite of the list? Please comment below.